The spectacular natural environment of Fitzroy Island lends itself perfectly for relaxation and getting back to nature, however there is also plenty of adventure to be found. The golden beaches and pristine waters are ideal for lazing around while the lush rainforest and reefs rich with marine life are perfect for discovering an exciting array of wildlife and activities. 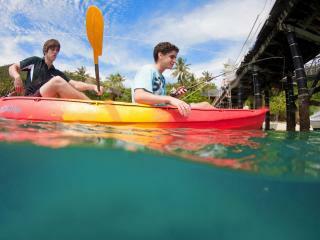 The resort's Adventure Centre can help you out with a range of watersports equipment hire. Surrounded by the Great Barrier Reef, the waters around Fitzroy Island are ideal for swimming, snorkelling and diving safely. 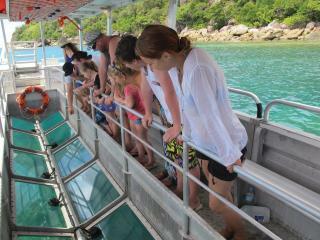 The waters are teeming with colourful marine life including turtles, clown fish and live coral. 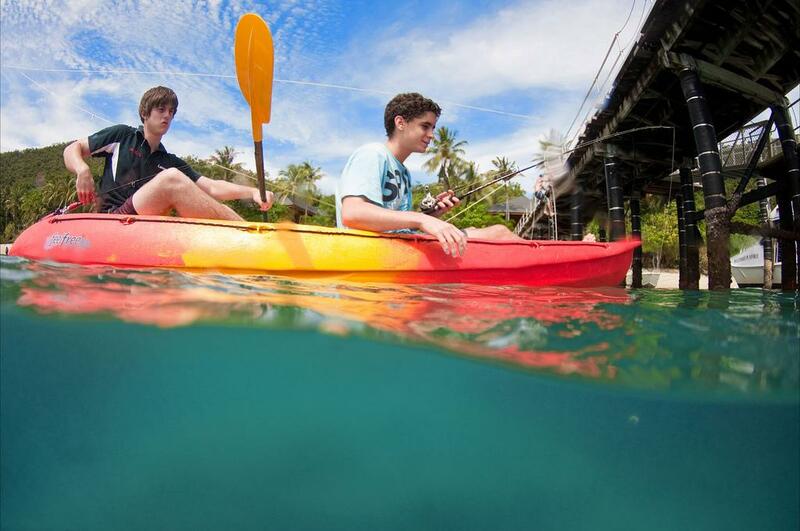 The crystal waters of the Coral Sea are not just great to have fun in but there are a fantastic range of fun activities to enjoy on the water as well including snorkelling or kayaking. 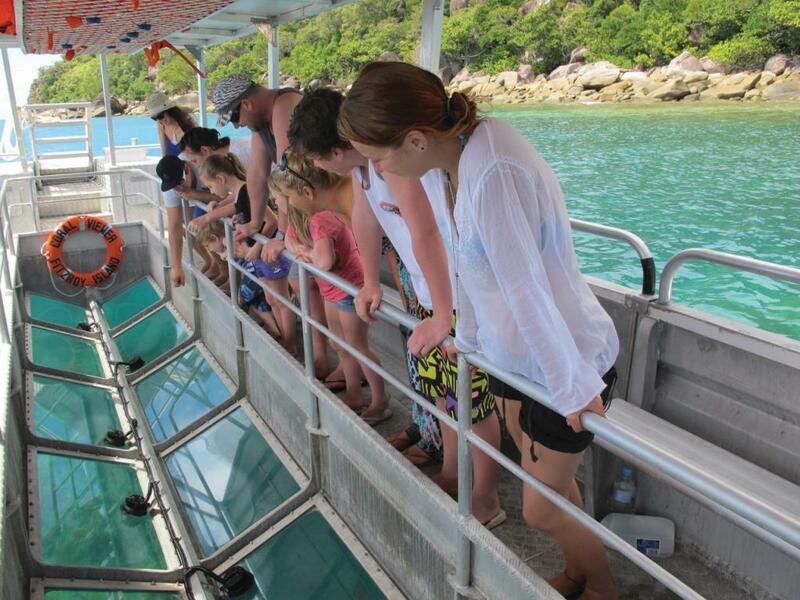 There are also a wonderful array of glass bottom boat tours which allow you to enjoy the beauty of the reef in the dry comfort of a boat. The spectacular beaches and rainforest of Fitzroy Island are also ideal for exploring and there are walking tracks located throughout the island. Many, like the Summit and Lighthouse walks, offer stunning views across the Great Barrier Reef. Follow the trails and discover some of the island's most popular spots including Nudey Beach, one of the most popular in Far North Queensland, and the Secret Garden. Covered in peaks and valleys, the rainforest, crystal waters, pristine beaches and abundant wildlife of Fitzroy Island offer a wonderful way to spend your time and provide some of the most breathtaking views of the coastline and brilliant sunrises and sunsets.